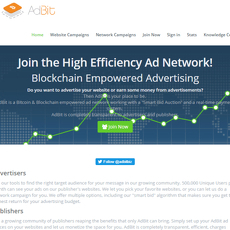 BitMedia is a cryptocurrency advertising network. 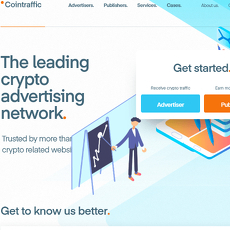 Their goals include making the buying and selling of online ads in the cryptocurrency space both simple and accessible for all involved. Their website contains live metrics for the last 24 hours which includes impressions served, clicks served, and active websites. Daily impressions are around 60 million which is lower than competitors with many ranging from 150-250 million. Websites served is around 4,000. BitMedia market their key selling points as simplicity, efficiency, and smart technology. 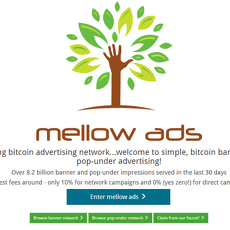 Simplicity makes it easy for anyone to set up an ad. Efficiency means you don't pay if you don't get real impressions and clicks. The smart technology utilises big data to increase revenue and cut expenses. Advertisers can select which publishers they would like to publish with. 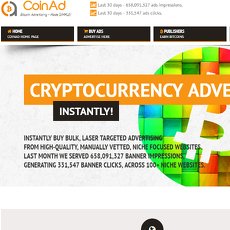 There are a number of other tools to also assist the advertiser. 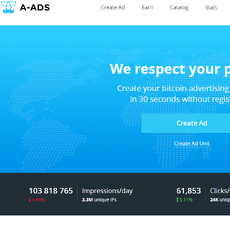 A fair pricing mechanism to help ensure the advertiser gets their ads at a good value. Statistics and quality control also provide advertisers with key information to make sure their campaign is executing correctly. Bitmedia has been operating since late 2015 which means they are relatively late to space when compared with competitors. Some competitors in the space have been established since 2011.